Senior football semi-finals this Sunday with Aidan McAnespies and Donegal meeting in one game and the Shannon Blues playing the Wolfe Tones. The Tones and Blues met earlier in July and the Tones just about defeated their opponents with 2 points to spare. Going into this game it will be the Tones favoured to advance to the final. Although less than convincing in their last outing, the Tones have plenty of talent to call upon. Ronan Jones and James McEntee, both players who will feature with Meath in the near future, along with Westmeath’s James Dolan. Youth program product, Jack Lynch, is fitting in nicely in the half back line and Chris Sallier at corner forward capable of making a score out of nothing. Dean Curran brings pace to the attack and will be hard to contain for the Blues. The Blues will be looking to neutralize the Tones attack, Tipperary man Brian Fanning is likely to get the Curran assignment. The North American and Boston defending Champions, the Shannon Blues are a club with a never say die attitude and will need to bring it Sunday. St. Mary’s man, Paul O’Donoghue, brings class to team, while veteran campaigners Dennis McElligott, Darren Wallace, and Darragh Roche up front will be sure to cause problems for the Tones. Jerry Troy would surely hope to put one over on his former team, while American Born Blues men Conor Fitzgerald and Maurice Young have been here before. A betting man might have the Tones shading it by a score. Brendan Murphy - A Big Addition for Donegal. Donegal are heavy favourites, not only in this game but also to go the whole way. Anything less than a Donegal win would be a huge upset. The northerners have built a team of heavy hitters with Liam Silke of Corofin fame, Oisin O’Neill from Crossmaglen, and Donegal’s Michael Carroll were joined at the end of June by St. Vincents men, Shane Carthy and Dermot Connolly, and Carlow’s Brendan Murphy. Of the big names, it has been Carthy who has shone the brightest in Canton. The New York born All Ireland winner has been a key cog in the Donegal machine since arriving. Oddly enough, another key player has been goalkeeper Hugh “Yank” Boyle. This season the Donegal keeper has made countless key saves to keep opposing teams at bay. Donegal suffered the loss of key home based payer, Brian Donnelly to injury and will be looking to his brother Sean, Kieran McDevitt, and captain, Jason Noctor at the back to keep McAnespies from getting a foothold in the game. McAnespies find themselves in the same position as last year, looking to beat the favourites to make the final. On the home based front McAnespies are one of the stronger sides with Che O’Donnell, Paul Clifford, Seamie Breslin, and Eoin Delmer in the ranks. 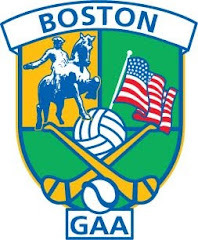 McAnespies are coming off a playoff win, the first Boston team this year to advance in a senior football knockout game, and will have their work cut out to knock off this Donegal team. With speed from Eric Finn and Rob Piggott on the wings, McAnespies will have to keep Donegal retreating and put pressure on the back line for the 60 minutes. Can the Macs replicate the heroics of last season? On paper you would say hopes are slim, but games are won and lost on the field. There is plenty of playoff action on the junior front. Saturday sees the second championship final of the year with Donegal and Galway battling it out for the junior B title. Galway topped the table with just one hiccup, a loss to Donegal. Donegal were only 2 points behind in the table and this is sure to be a game between two evenly matched teams. The game is at 4:15 on the back field on Saturday. Also on Saturday we see teams traveling from either end of the region to meet in the junior C hurling semi-final. Providence and the NH Wolves from Concord NH will meet at the ICC at 3:00 Saturday to decide who will meet Worcester in the final the following week. There are also 2 junior A football semi-finals with Cork and McAnespies playing Saturday at 5:30, and Donegal meeting Christopher’s on Sunday at 1:30 on Sunday. Cork topped the table and are the defending champions, but Christopher’s and Donegal were hot on their heels all season.